What to find out from where an email was sent from? I will show you how. 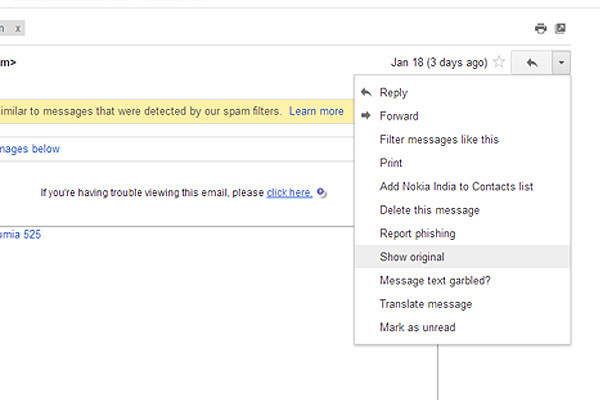 By default Gmail will mask the IP address of all the emails that are sent from Gmail’s web interface. But in case an user is using a desktop email client such as Mozilla Thunderbird or the Gmail app, then the IP address of the email’s sender will not be masked by Gmail. In such a situation you can easily find out the IP address of the sender’s computer from the email’s header. Depending on your requirement you can use this IP address to find out the location of the email’s sender and even you can use it as an evidence in a legal case. Here’s how you can find out the IP address of an email. Step 1: Open any email in Gmail’s web interface. Step 2: Click on the inverted triangle symbol to the top right of the message and selectShow original. Step 3: On the page that opens up, press CTRL + F to bring up the search function within the web browser and enter “ Received: from “ in the search bar. 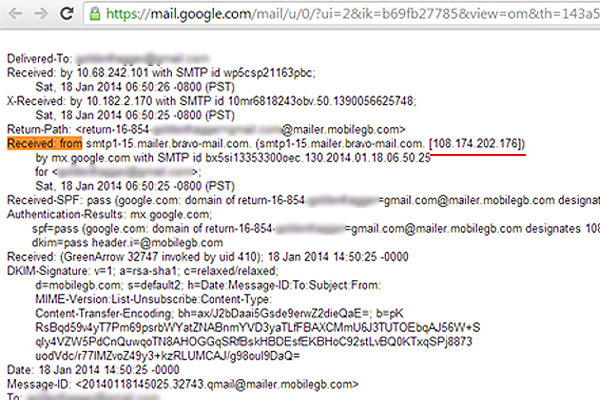 The highlighted line will contain the IP address of the emails sender. Now you can copy the IP address and use it to find out the location of the emails sender using an IP tracking tool online. this is an handy tip that most of should know about. In the next post I will show you how you can use an IP address to find out the location of an person. So please Subscribe us Below or Like Us on Facebook.